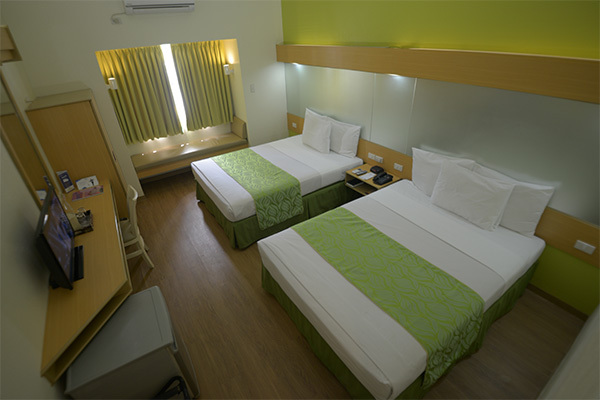 Each affordable accommodation at our hotel in Davao is a study in subtle elegance and practicality. We offer a comfortable haven that balances function with style, providing the perfect ambience for complete rest and relaxation. This welcoming atmosphere is created in each room by various design touches, such as accents in warm shades and wooden pieces. It then extends to providing a better version of each basic element in a guestroom, to rival those on offer by other establishments. For example, not every Davao hotel offers chiropractor-approved mattresses, or individually controlled air-conditioning units. Other essential amenities, such as TV with cable channels, refrigerator, and telephone with IDD and NDD services, are also available in all of our accommodation in Davao. 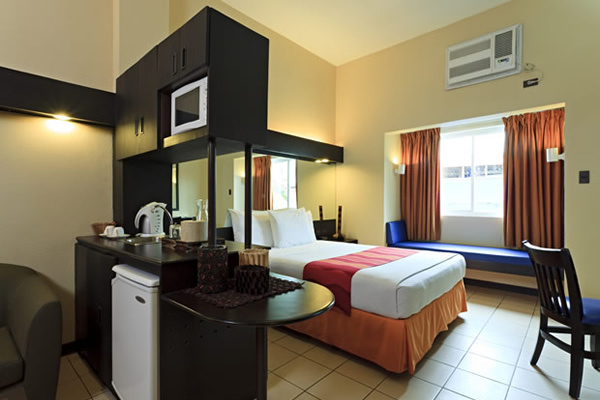 Suite Rooms also have additional amenities, such as a bathtub and a kitchen counter area with sink, microwave oven, and coffee/tea making facilities. A maximum of 2 children 12 years old and below can stay in the room with their adult guardians for free, provided they sleep in the existing bedding. Baby cribs are also available upon request at this hotel in Davao.